Welcome Home to Brookside Park! Come home to country beauty tucked away in such an accessible location. 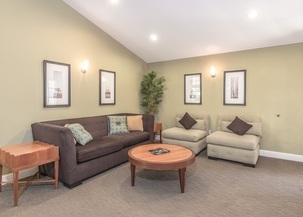 With views of lush gardens, tall trees, brooks and ponds, each apartment is a perfect retreat from a hectic life. These spacious one, two and three bedroom apartments feature a private storage locker. 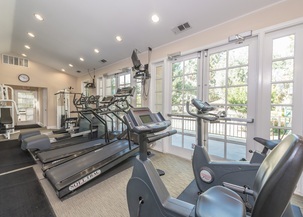 Plus the expansive grounds of Brookside Park include a relaxing spa, swimming pool, saunas, fitness center and elegant lounge, which can be reserved for private parties. 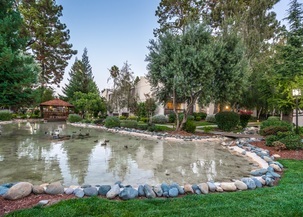 And with easy access to freeways, public transportation, one block from Google and Facebook shuttles, and shopping, you will spend less time out and about and more time enjoying the special setting of Brookside Park.